Most online housing search engines have specific filters that allow you to search for pet friendly options. Some honorable mentions are craigslist, bringfido.com, zumper.com, apartmentlist.com and apartmentfinder.com. One way to woo landlords into welcoming your companion animal is by making sure that all four-legged family members are well behaved. Consider signing your dog up to be an AKC Canine Good Citizen. This is a training and testing program designed to make sure that your dog is just as top-notch a tenant as you are. The Pasadena Humane Society & SPCA offers dog training classes and online videos to help your pet be a stellar tenant. For behavior questions, contact our free helpline at behavior@pasadenahumane.org or 626.792.7151 ext. 155. When searching for training techniques, we always recommend reward-based training and positive reinforcement methods. Impress your potential landlord by showing off your pet’s spay/neuter certificate, vaccine records and license tag. The Pasadena Humane Society & SPCA offers low-cost wellness services, as well as pet licenses, in most of our animal control contract cities. Training techniques to address some common problem behaviors in order to help your pets become upstanding citizens of any housing complex. A sample “pet resume,” which is a fun and convincing way to introduce your animals to potential landlords. Realtor.com has also put together an article with more helpful tips for writing an excellent pet resume. Post a photo and bio of your pet on your social media channels. Talk to your friends, family, neighbors, coworkers or other networks about your pet. Contact a breed-specific rescue if your pet meets the criteria. 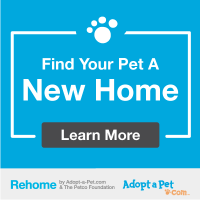 Create a pet profile on Rehome, a free tool design to help pets find new homes without having to spend time in a shelter. The Pasadena Humane Society & SPCA is not affiliated with any services or organizations linked to on this page and is not liable for the information they provide.